A British man who fed hallucinogenic drug LSD and cannabis to his pet hamster ‘Mr. Chow’, has been jailed for animal cruelty. Nchinumya Ntembe, 22, pleaded guilty to five offences at Lancaster Magistrates Court on Monday, including two charges relating to the mistreatment of two pet dogs, named Zeus and Faith. Video footage released by the Royal Society for the Prevention of Cruelty to Animals (RSPCA) shows the Lancaster man pouring Tizer soft drink laced with LSD into a water bottle, which he then gives to the animal. “This could be the end for Mr. Chow. Or the beginning,” a man says on the video. 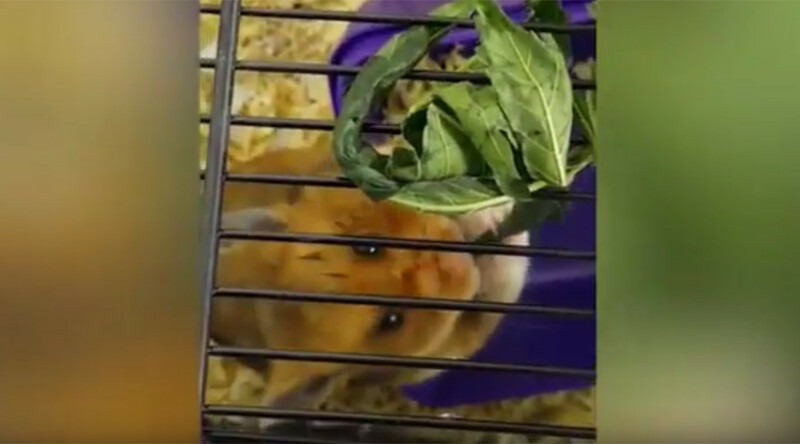 The footage then shows the hamster chewing on cannabis leaves as they’re pushed into its cage. “It’s clear that Ntembe and the other man involved with the hamster incident – who has already been dealt with – are aware that what they are doing could cause Mr. Chow suffering,” RSPCA Inspector Sarah Hayland said. “They can be heard saying things like ‘This could be the end for Mr. Chow’ and egging each other on to give him more drugs. There were three dogs at the property – two of them belonging to Ntembe and one to another of the defendants. Ntembe has been banned from keeping animals for eight years, and his four-month sentence will run concurrent to a sentence he is already serving. Mr. Chow and the dogs have been found new homes. “The dogs have done amazingly at RSPCA Blackpool & North Lancs Branch and the pictures of them now and then are quite extraordinary. They just don’t look like the same animals,” Hayland said.